Our lunch menu offers a variety of different Italian classics, such as arancini and pasta, as well as our take on non-Italian dishes, like the turkey burger, which is prepared with fontina, caramelized onions, and sweet potato fries. This menu also has an assortment of starters, salads, burgers and sandwiches, meats, pasta, seafood, and additional sides. Our dinner menu is a combination of dishes served during lunch, with a variety of other additions. This includes salads, appetizers, “easy to share,” pasta and risotto, fish and meat, and sides. This menu is exactly what the title suggests: four dishes which can be shared with loved ones or a group, even indulged on your own. Also, every Sunday and Tuesday, we have 30% off bottles of wine $60 and up! You may also select cocktail hour items with your choice of five of our many passed hors-d’oeuvres! 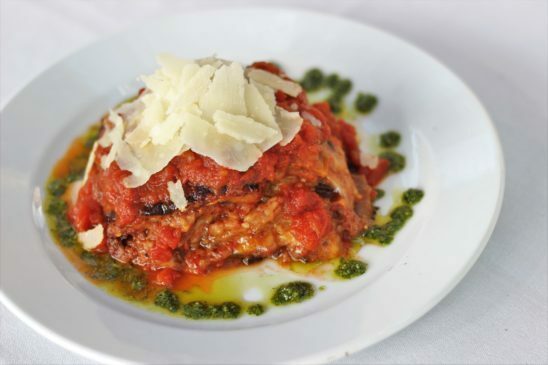 With all the Italian restaurants in Huntington, NY, it can be difficult to choose your favorite. Drop by Jonathan’s Ristorante or schedule an online reservation today! At Jonathan’s Ristorante, our menu options are broken down into six categories: today’s specials, lunch, dinner, Sun – Fri $35 Prix Fixe, bar, and catering.